Advocates for domestic partner benefits hope to gain the support of UW students. 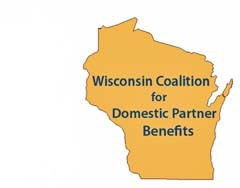 Once again this year, Governor Jim Doyle includes domestic partner benefits in his proposed budget. Ferrari and others were on a chilly Library Mall Wednesday, attempting to drum up support and urging students and community members to contact state lawmakers in hopes that this time, domestic partner benefits will survive the budgeting process. “We&apos;re trying to get student support because we feel that&apos;s a resource that&apos;s been untapped in the past that could make a difference this budget cycle,” said Ferrari. UW Madison remains the only Big Ten university to not offer domestic partner benefits, something advocates say makes it difficult to attract and retain top faculty.